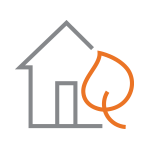 Reconnect Your Natural Gas Service | Spire Inc. The gas is currently off at my home or business, and I’m ready to reconnect my service. If your gas was disconnected for non-payment, you'll have to make an initial deposit before we can restore service to your home or business. We’ll contact you to confirm the appointment.